Our annual upgrade is scheduled to begin on July 26th 2016. Blackboard Managed Hosting will begin the upgrade at 2300 BST, it will take up to 16 hours. See details for other timezones. Blackboard will be unavailable while the upgrade is taking place. Notifications are currently switched off as they were unreliable, and could cause the server to crash. This issue has been fixed, so we’ll be switching this on after the upgrade. Microsoft Edge and Chrome OS are now officially supported. Note that the only version of Internet Explorer now supported is version 11. If you’re unsure, you can find out what browser you’re using. At the same time of the Blackboard upgrade, we will enable access to the Turnitin Feedback Studio and Blackboard Collaborate Ultra, and switch off Equella. See the post from last year for more information. When using Turnitin to mark work, you can click a link to enable the new Turnitin Feedback Studio (you will also be able to opt out again, should you wish). 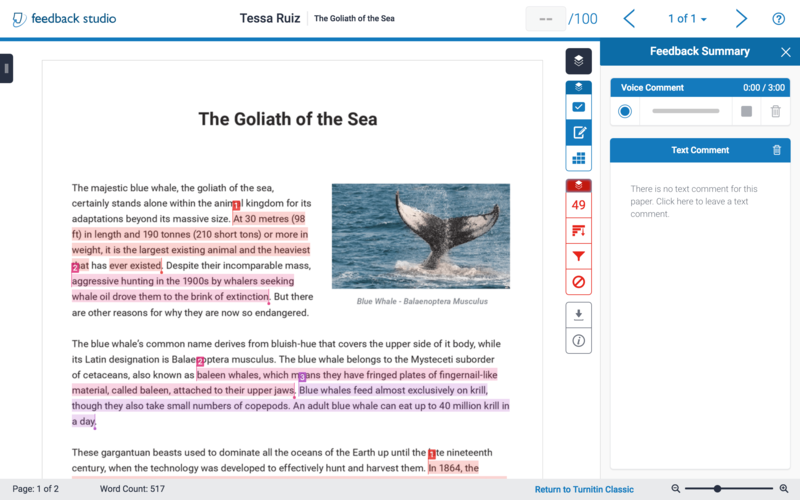 Visit the Turnitin site to find out more about Feedback Studio, and to try a demo. There are many other bug fixes, including one for the occasional errors that students may see when trying to view their feedback. 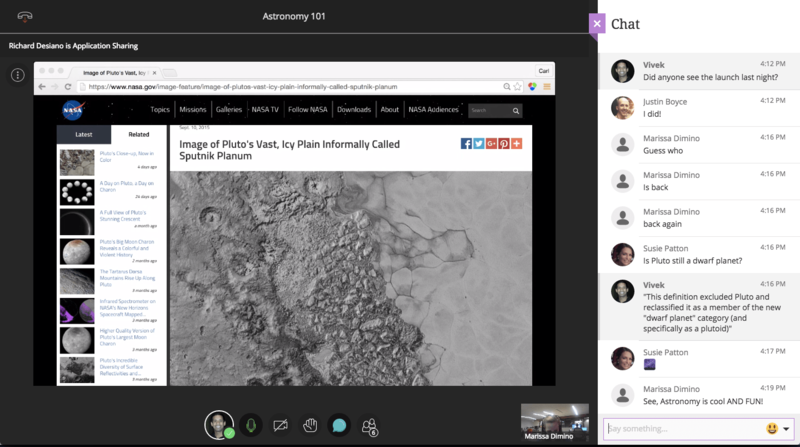 Say goodbye to the Collaborate Launcher, and just use your web browser to moderate and participate in sessions. If you would like to access Collaborate Ultra in your Blackboard courses, email collaborate@aston.ac.uk. Note that if Collaborate Ultra is enabled in a course, you will be unable to create Collaborate Classic sessions alongside.